Two years ago, Firefly Space Systems appeared to be flying high. Then the bottom fell out of the company. The assets of Firefly Space Systems, a company that was developing a small launch vehicle before encountering financial problems last year, will be sold this week in an auction organized by a little-known company backed by a Ukrainian entrepreneur. 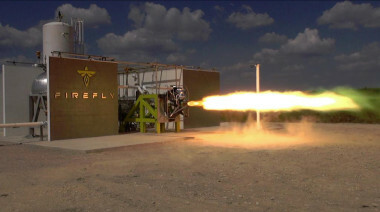 Firefly Space Systems, a Texas company developing a small launch vehicle, has furloughed its entire staff after an investor backed out, forcing the firm to consider alternative vehicle concepts or even a sale of the company.